On Aug. 11, 2014 A dear soul chose to exit this human experience. 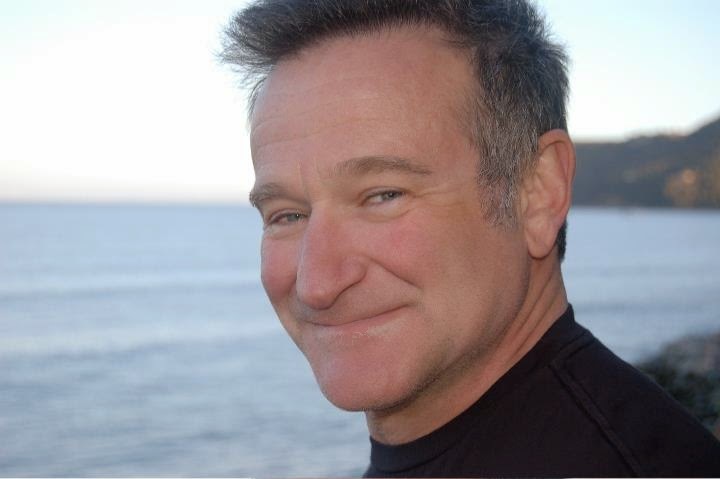 Robin Williams has impacted millions of individuals with his life of love, service and entertainment. Now as his soul has exited his body, he serves us on another level. He facilitates opening the collective consciousness to our own darkness and pain, and supports us in healing it with him. This story has impacted me so much I have needed days to process it before I could write. So many of us were shocked and saddened by the news. How could someone who was loved by the world not be able to feel his contribution and love by others? His death has impacted millions of individuals and caused us to look within at our own darkness. Perhaps, this was also part of his purpose here on the planet; To inspire great joy and service while in his body and through his transition, cause us to go within and face our own emotional pain and heal it. I feel very connected to this purpose and am dedicated to continuing it. I humbly have had a unique opportunity to experience some understanding from Robin’s perspective. I also feel his passion and purpose in continuing to bring awareness of depression and the effects of addiction to others. Depression is a sickness all sensitive souls have experienced at some time. Some of us experience inherent depression (birth trauma is associated with this) and situational depression (which is caused from external events that occur such as losing your job, a relationship or death etc.) You could be one who experiences both. There are many forms of depression and causes of it. Educate yourself on what it is for you and when you get it. In this dense energy we can’t see, feel or experience light or love. I know in my own “dark night of the soul,” I was ready to drive my car off an overpass so that my children would think it was an “accident” and not blame themselves. In that moment of my life, deep sadness and dark engulfed me and I saw no other way out of it. Whatever stopped me from pushing the gas pedal in that moment, still stirs my soul now to continue to learn, grow, heal patterns and teach others how to do the same thing. Most sensitive souls on the planet have had suicidal ideations and need skills and tools to cope with these emotions. I feel a great need to get the message out to the masses. There is hope! There are tools to provide understanding and forgiveness for yourself and others. We need help getting this message out there. Learn the tools for yourself and share, share, share…. The acronym I use for healing is AWAKEN. Aware – Become aware of your thoughts and feelings to understand what triggers your internal upsets. Willing – Be willing to break the pattern by getting the support and help you need. There are many Light Workers on the planet with many modalities of healing. Follow your heart to find what resonates for you. 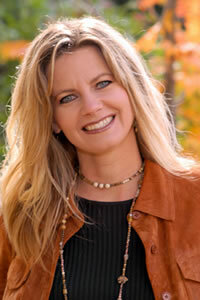 I use Intuitive Life Coaching as well as Rapid Eye Technology for myself and my clients. Knowledge – Seek knowledge. Educate yourself about your patterns, your thinking and tools to heal it. Ask your Spiritual Team to show you the “truth” about you. Embrace – Embrace your Light. Embrace your Dark.. Embrace your patterns. There is a purpose in them. You are here to experience duality and contrast to learn that you are not your thoughts nor your patterns. You are greater than all of it. You are Love! Ask to experience this..
Now- Stay in the now, the present where healing is available to you. If you are in negative thinking patterns, your mind is in the past (guilt and regret) or it is in the future (fear and worry). By learning to stay in the Now, you can experience more peace and joy in your life. I honor you on your journey of wellness. It is my intention to provide information, tools, sessions and educate the masses. Together let’s lift the consciousness of Love to be more prevalent on the planet. Learn to Be the Love that you already are! If you are interested in becoming an Intuitive Life Coach or a Rapid Eye Technician contact me. In our last Thought Watchers Support Group, we discussed the topic of inherent and situational depression and birth trauma. You can listen here. If you need additional coaching or your birth cleared. Contact me or one of my Light Workers for an Intuitive Life coaching session and a Rapid Eye Birth Clearing, ( List of Rapid Eye Technicians near you). This is essential for your wellness! I am so thankful you wrote about this. I have continued to question why I have been so majorly impacted by his death. I mourned him, I cried for him. Why is this person, in particular, so impacting me on his passing? I’m not one to keep track of celebrities, although I do enjoy reading People Magazine while waiting in the doctor’s or dentist office but I’m not one to fawn over them. I didn’t think I felt all that connected to him either. May his soul be at peace. Uplifting everyone touched by his vibration to be surrounded in love and light. I too was touched in many ways by robins death. I feel like I have known him forever….In fact, I all ways felt his joy, his mirth and I always felt he had a party going on in his head and I wanted an invitation.. . He adored his children and loved his family and friends, along with his fans…underneath his laughs and his manic performances he was a tortured soul….I understand to a certain extent what depression and suicides does to families…I experienced the loss when two family members checked out by their own hand…I wish I had held on a little tighter to them instead of dismissing their problems…I just was always in denial about this disease..through robins death, I believe that there will be more understanding..I just do not understand how someone so brilliant could never feel the connection to how much people really care…very good incite, Sandra…I love reading your blog..learn something from you everyday.. He is deeply missed. His common, but difficult to diagnose, condition known as Lewy Body Dementia would be hard for anyone to live with, as it progressed.